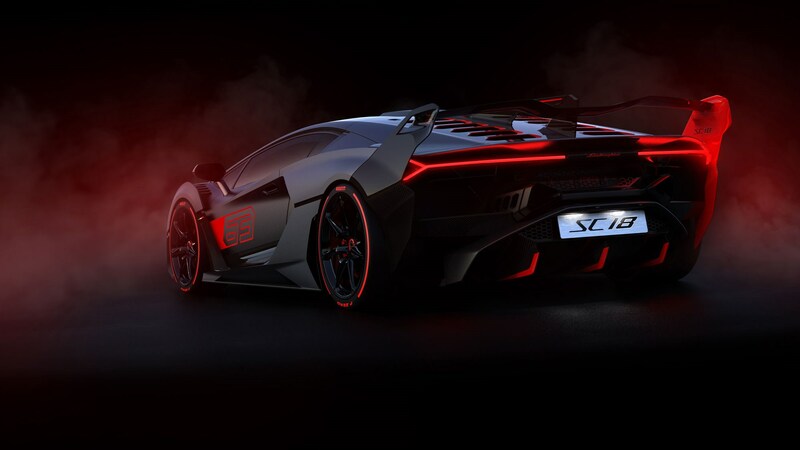 Lamborghini is the latest manufacturer to join the trend of one-off hypercars with this; the new SC18. 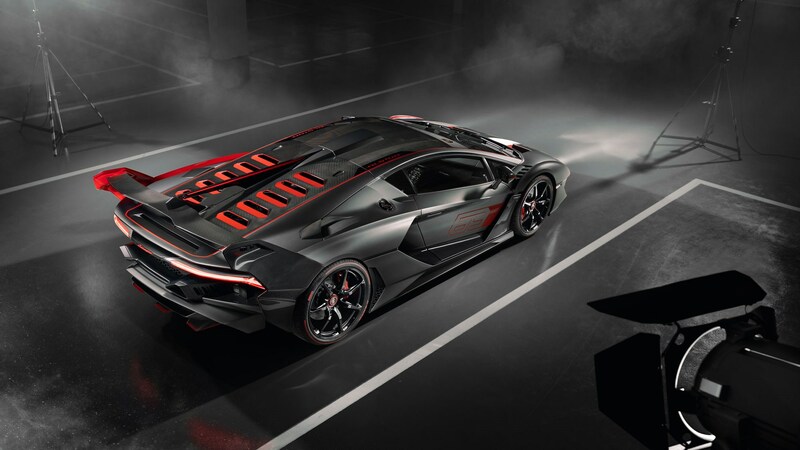 Essentially an Aventador with some seriously evil-looking bells and whistles on, the SC18 is the first bespoke supercar from Lamborghini, and the first from its newly-formed Squadra Corse arm. Lamborghini says the SC18 is actually road-legal, but it’s designed primarily for the track – not the high-street. Just like the Ferrari SP38, the new SC18 was a collaboration between a customer and the company – in this case Centro Stile styling branch. That's why it still follows the dramatic lines of Lamborghini's F-22 Raptor-ish design language. 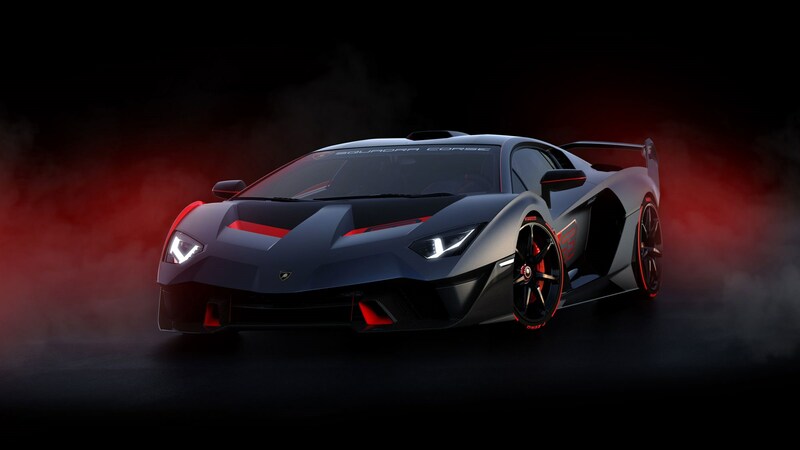 Although we only have sketches for now, the new car looks to be a splice of the most aggressive Lamborghini DNA. 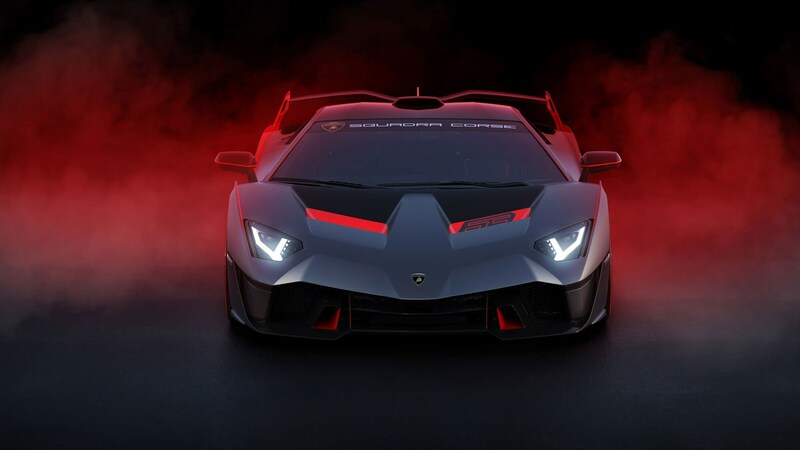 The front of the SC18 features air-intakes derived from the Huracan GT3 EVO, while the rear and side skirts are taken from the equally ridiculous Huracan Super Trofeo. Of course, the rear of the car is equally extreme, with a racing-proven twelve outlet design on the engine cover, and a massive F50-ish carbon fiber wing to generate extra downforce. And if the styling wasn’t eye-catching enough, red flashes of paint help to mark out the more intricate carbon work. Underneath, the similarities to the smaller Huracan stop; a V12 means the SC18 has the heart of an Aventador. The naturally-aspirated, 6.5-litre, 12-cylinder puts out 759bhp and peak torque of 531lb ft, and gets power to the wheels via a seven-speed ‘box.